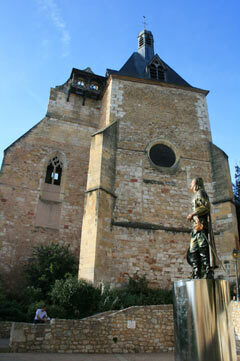 Bergerac is found on the northern bank of the Dordogne River, in the western part of the Dordogne department. It is among the largest towns in the region and is classified as a town of Art and History. 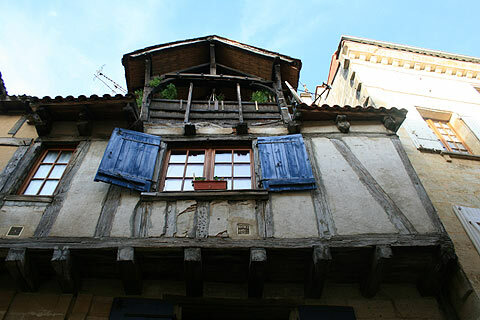 The highlight of a trip to Bergerac is the old town - the area immediately north of the river, signposted 'vieille ville'. This part of the town has some lovely streets and squares to explore, and a variety of boutique type shops. 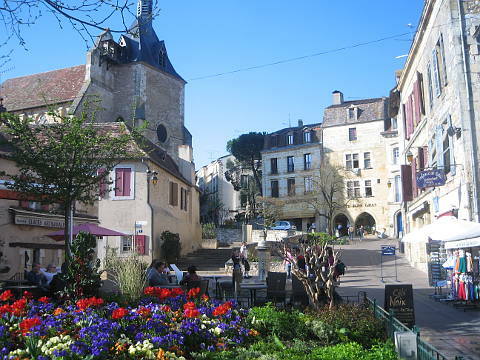 The old town centres around Place Pelissiere which is a lovely square edged with cafes and restaurants and always full of flowers. At the top edge is the St James church with its attractive bell-tower. 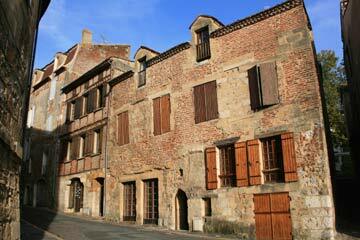 Around Place Pelissiere are a number of lovely medieval streets including Rue St Clar and Rue St James. 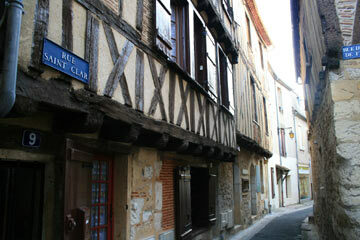 Rue St Clar in particular is a narrow street with half-timbered houses. Take the time to wander round the streets of the old time and admire the interesting architecture you will see as you wander. Down towards the river is another lovely square - the Place Mirpe surrounded by half-timbered buildings and offering some welcome shade in the summer. 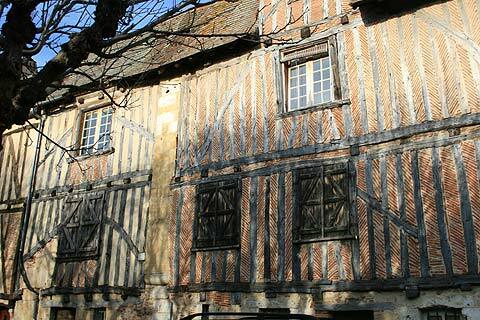 Visit the Maison de Vins de Bergerac in the heart of the old town. It is a beautiful old cloister dating back to the 12th century. 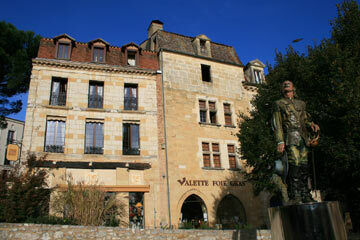 If you are a wine enthusiast there is an exhibition showing the history of Bergerac wines and its 13 appellations. During the summer there are occasional concerts which take place in the cloister. It is a lovely setting for them and worth going if you get the chance. In December there is usually a small but good quality Christmas Market here with products from local artisans, very useful if you are doing some Christmas shopping. 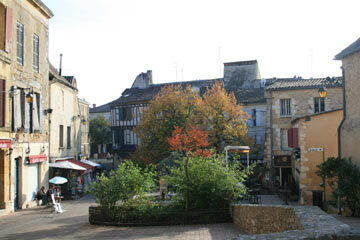 Up from the old town, there is a newer, more modern part to Bergerac, with more conventional streets and a larger range of 'modern' shops. 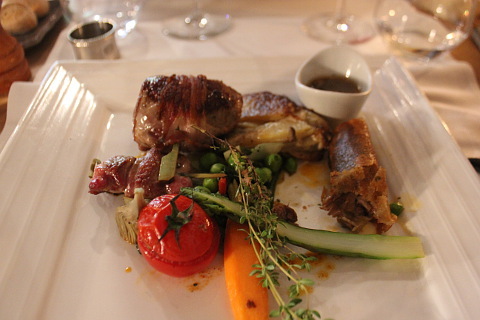 There are a number of restaurants in both 'old-town' Bergerac among the attractive medieval half-timbered streets and in the pleasant newer parts of Bergerac. There are also various open-air cafes where you can pass a very pleasant hour just watching people going about their business. The market, held on a Saturday, is at the higher end of the town around the church. It is a particularly good one and draws locals and visitors from the surrounding area. 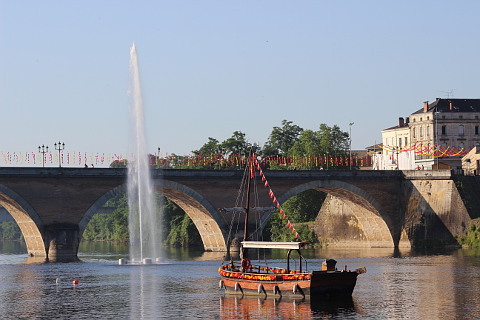 After exploring Bergerac you can take an organised boat trip -gabare - up the river (start from the car-park at the bottom end of the old-town) to see the town and the nearby countryside from a different perspective. 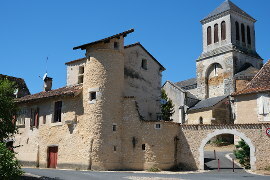 (You can also take the gabare from villages further up the river at Beynac or La Roque Gageac where you will pass various villages and chateaux along the route). Note: Any statues of Cyrano de Bergerac can be ignored - he had nothing to do with the town, and quite possibly never even visited! 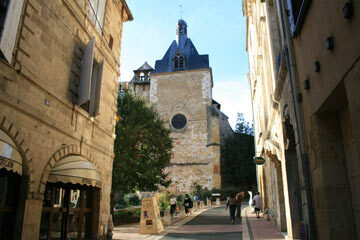 Bergerac is an important wine area with a selection of good wines. 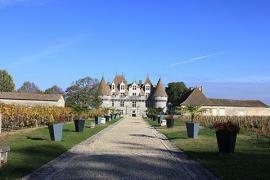 Particularly good Bergerac wines include Pecharmant, Monbazillac and Saussignac. Maison des Vins - as mentioned above this is housed in an ancient cloister (which you can enter without entering the exhibition), there is an exhibition of the history of Bergerac wines. 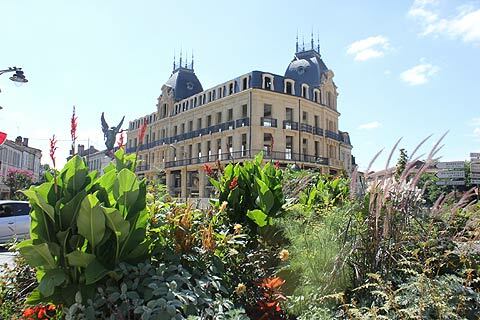 Musée du Tabac (Tobacco museum) - the tobacco museum is housed in the maison Peyrarede, also known as the Chateau Henri IV. 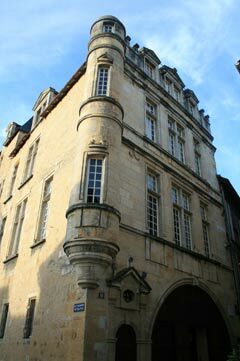 This is one of Bergeracs most interesting buildings as it is on the cusp between Renaissance and Classical architecture. Inside are many artefacts relating to the history social and cultural of tobacco. 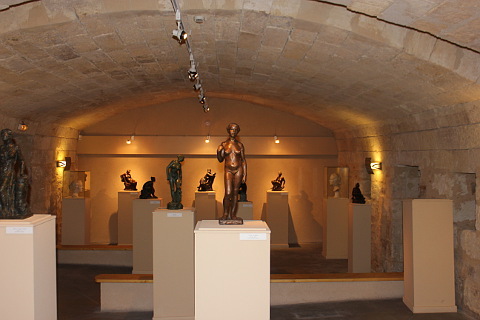 Musée Costi - the Costi museum is in a lovely vaulted celler and contains bronze and plaster sculptures by Constantin Papachristopoulos, also known as Costi (1906-2004). The Costi museum is open in July and August, Tuesday to Sunday afternoons and is free. 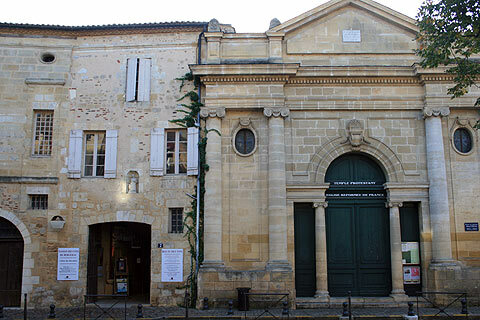 Musée de la Ville - the town museum contains exhibits related to the history of Bergerac and especially the importance of the river and of the vineyards to the town's growth and devellopment. The museum is open virtually every day and costs 3 euros for adults. 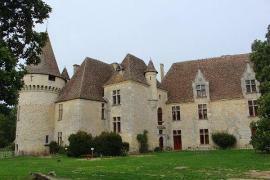 The Chateau de Monbazillac famous for the golden sweet Monbazillac wines is near to Bergerac and open for visits. 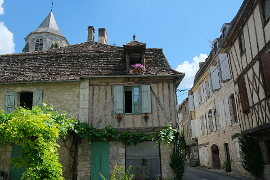 South of Bergerac is the attractive bastide town of Eymet. Just beyond here in the Lot et Garonne department are quite a number of these charming bastide towns built on a grid-formation around a central square. 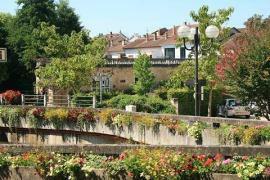 Garden fans will love the Jardins de Sardy a half hour drive to the west of Bergerac. 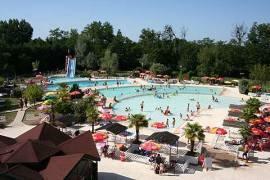 If you are travelling to Bergerac with children there are various activities in addition to the many castles and caves of the region. On the Route de Bordeaux near to the large Leclerc supermarket you can find a Bowling alley, a Paint Ball centre, an outdoor Aqua Park and a little further down the road a go-karting circuit. 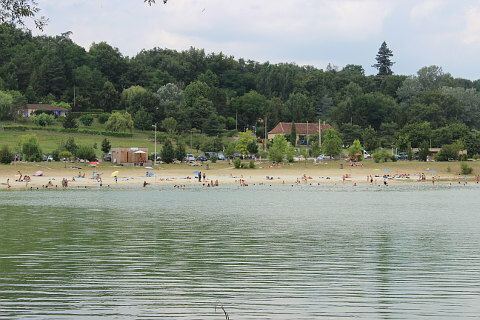 There is also a large swimming lake called the Lac de Pombonne near to the centre of town. This has lifeguards in the summer and a kiosk selling drinks. Near to here are also a number of pizza, chinese and burger oulets if the fine dining in town is not to your children's tastes!